Carefree Summer Days for the Entire Family! An above ground swimming pool is an investment in family time – a sure-fire way to bring everyone together for hours of fun. The kids won’t want to leave! But when they do, it’s a relaxing haven for you to soak in some sun, or enjoy a quiet swim after dark. An above ground pool takes your backyard to the next level, but doesn’t break the bank. It’s like taking hundreds of vacations for the price of one! Your family is worth it. Zagers is here to help you make the best choice for your family. There are many things to consider when purchasing an above ground pool. Browse the Pools Buyer’s Guide to learn about what’s most important. Then visit any of Zagers 5 West Michigan locations to talk to a pool expert to find the perfect pool at the perfect price! As top-tier dealers of Doughboy, Sharkline and Radiant Pools, Zagers only offers the most respected, well-built, longest-lasting swimming pool brands. Superior style and design, combined with high-quality and unbeatable value. 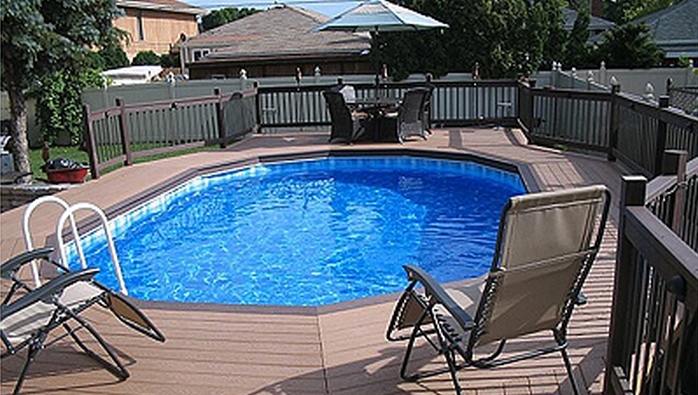 Sharkline pools have been made in the USA, by the same family, since 1961. The originator of the above-ground pool, and still the leader. Doughboy pools are incredibly versatile, with options to fit every family. Zagers outshines other pool dealers in every way! Our experts have helped families select the right pool for over 50 years. Stop by any of Zagers’ 5 West Michigan Locations to see them in action! Our stores even have outdoor courtyards filled with pools for easy side-by-side comparison. Guarantee Family Fun with an Above Ground Pool from Zagers!